It’s important to know your starting point before you can track improvements. By choosing key performance indicators (KPIs) and then tracking them, you’ll be able to tell if your productivity improvement efforts are yielding a tangible result. Analysing current performance should be the first step in any process improvement plan. Big data and IoT has contributed immensely to how information is analysed. 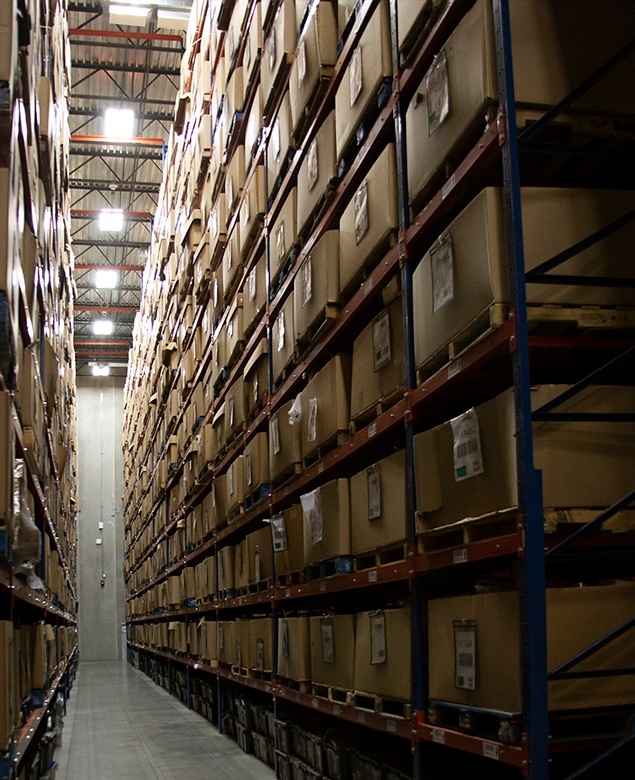 There are more data, statistics and measurables now in warehousing than ever before. Organizing this information correctly and allocating data to a specific instance or sequence of instances allows for proper analysis of a situation or system. Once you know your KPIs, you can then start to look at improvements. Using your existing space in the most efficient way possible is important. This includes utilizing height in storage applications. The “dead” space above shelving can be very useful to maximizing your use of space. Having a facility that is laid out properly makes working in the facility efficient for employees. Keeping a facility organized is particularly important. There are automated material handling systems that can be customized for a warehouse environment. These systems increase the amount of storage in a warehouse by compactly and efficiently storing goods. Automated systems help employee efficiency as well as maximize accuracy for storage. While we are discussing automated material handling systems, these are a great way to properly and efficiently manage inventory. Storing too much or too little inventory can be problematic for an operation. Having an automated system to track and store inventory makes it easy to know what is in stock. It also makes it easy to get that stock to customers. Warehouse operations without an automated materials handling system might benefit from a Vendor Managed Inventory System to promote streamlining their in-house inventory. This would reduce inventory storage costs but still allow the same level of service to customers. Sometimes selling inventory is the way to manage inventory excess. There are ways to sell inventory and free up space while making money for your operation. That’s a great way to benefit from properly managing unwanted inventory. Since space is always at a premium, items that sit past their prime will start to cost money. They take up shelf space that could be used to hold more of what is currently selling. Maintaining existing equipment and investing in new equipment when needed will help an operation stay efficient and potentially increase productivity. Preventative maintenance is very important to overall efficiency. Deciding to repair existing equipment or purchase new equipment will help keep an operation running smoothly. Tools are a critical part of any system. The right tools and everything works smoothly and quickly. The wrong tools and things go wrong and a simple task takes 5 times longer. Understanding what are the right tools and keeping them working properly is an enormous asset to any process. Keeping up with technology is an important factor in running at maximum productivity. The easier it is for employees to perform job functions, the more productive they will be. The ease of obtaining data is also a factor in keeping the latest technology within your operation. Watching those KPIs is simple when your equipment can help you track performance, but don’t get caught up in the excitement of the latest technology without doing proper research first. If it provides a good return on investment, then that investment is a good decision. New technology requires people for implementation and time to get systems working as close to 100% as possible. There is a fine line between too many new things and not enough. Too many and people get worn down because they can never get into a work rhythm. Too few and people will get lazy or bored. Everyone always needs to be innovating and finding new ways to simplify and speed up their process. Metrics and personal goals can encourage these aspects of the process. This is the only way to achieve real growth. Understanding ROI is critical to a growing process/system/company. The question really is how quickly can I get my money back so that I can invest in the next improvement? Continually investing in processes will insure that your employees are adept at change and accept that change is a part of the process. However there are areas where the tried and true methods always win out. A proper ROI and an understanding of your processes will show how quickly and how often you can make changes or improvements. Employees are the backbone of every warehouse operation. Making sure employees feel valued is a great way to increase labour efficiency. Making their work environment pleasant in small ways, such as proper climate control and fatigue mats can produce big dividends for employers. Providing them with the proper tools to effectively perform their job functions will keep them producing at a high level. Maintaining those tools and providing a consistent and effective work environment will help promote the productivity goals of the operation. It’s difficult to expect people to perform at maximum productivity if they don’t have the tools required to execute their job duties. Ongoing training for employees and providing attainable goals with rewards for achievement are also ways to keep employees engaged. As equipment and operations changes are made, providing employees with ongoing training is a great way to keep them focused and learning while increasing their effectiveness on the job. Making good decisions for a business is important for any warehouse manager. Reaching for maximum productivity should be an ongoing practice that is constantly evaluated and measured based on goals and with employee involvement. When goals are reached or exceeded, it's positive for everyone involved in achieving those goals. 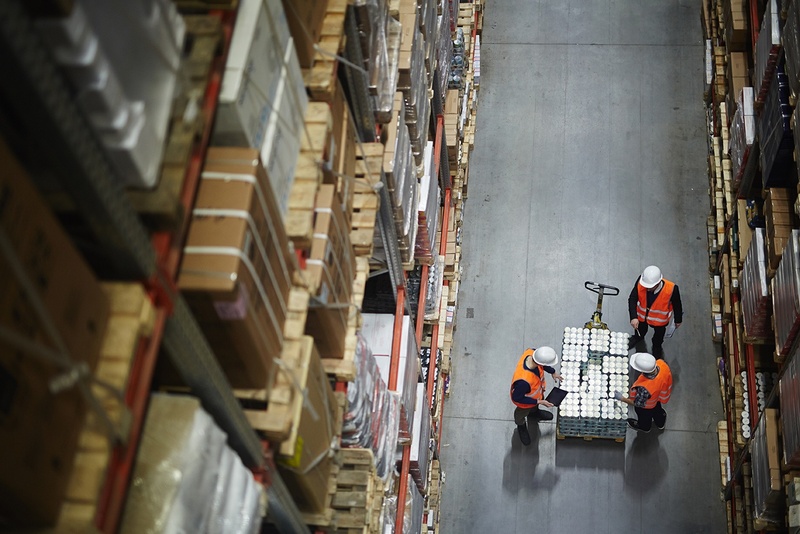 A warehouse running at high productivity levels with involved employees can make a huge difference in the work environment and profitability of an operation. Radwell International stocks and sells New and Surplus Industrial Automation, MRO, Pneumatic, Motion, Electronic, Hydraulic, HVAC and Electrical Control Equipment for plant floor and facilities maintenance machinery. We also have full component level Repair capabilities for all Industrial Automotive and Electrical equipment. For more information about how Radwell International can help you improve your warehouse productivity. Win an iPad and enjoy a Hog Roast at Radwell's Open Day! 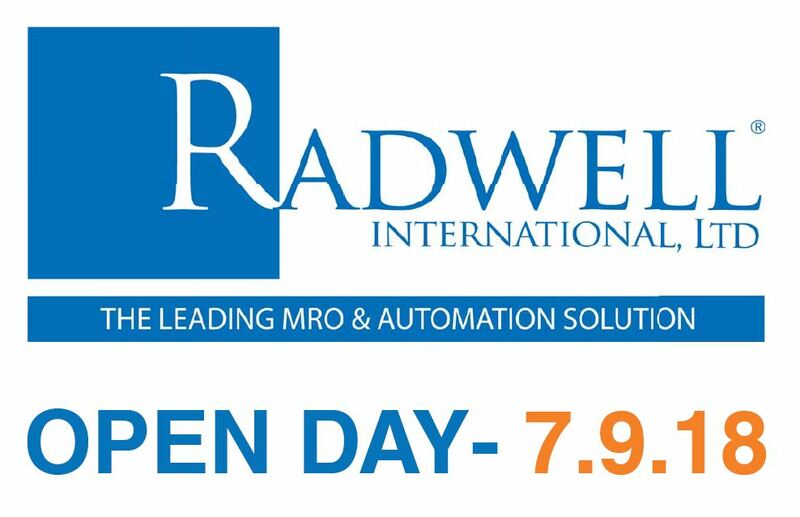 Friday 7th September 2018 from 9am until 3pm at Radwell's UK facility in Newcastle-Under-Lyme.